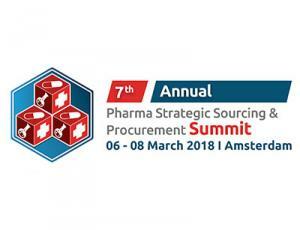 7th Annual Pharma Strategic Sourcing and Procurement Summit has been designed to bring you a unique opportunity to gain fresh insights into areas such as strategic sourcing, procurement, purchasing, and supply chain management in the pharmaceutical industry. Come and find the answers to all the questions about how to build long-term strategic partnerships, speed up the process of digitalization in the sourcing and supply chain, and drive the supplier-enabled innovation. You will hear about the fresh perspectives on indirect procurement, analysis of outsourcing, importance of cost reduction, purchase strategy by segmentation, supplier relationship management, supply chain optimization, and future transformation of strategic sourcing in the next years. By attending this summit, you will access the first-hand learnings and valuable tips when it comes to enhancing the pharma sourcing process segments, from the data collection and supplier identification process to the market assessment and contract negotiations.